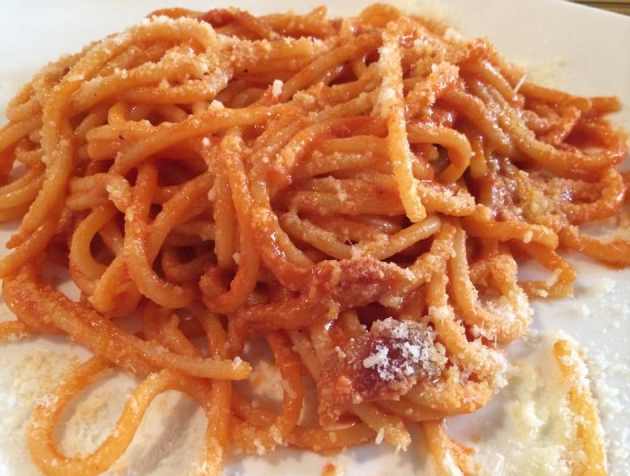 Amatrice, one of the cities devastated by the earthquake, is home of the pasta all’amatriciana, famous dish used by local Italian restaurants to raise money for earthquake relief. The shepherds used to call it gricia, deriving its name from the village of Grisciano, in themunicipality of Accumoli. People in Amatrice took this sauce made with guanciale (bacon) and pecorino, added tomato sauce and gave it the name of amatriciana. The same shepherds brought amatriciana to Rome, where in the 1800s became famous nationwide thanks to Roman caterers. Today, People can enjoy la pasta all’amatriciana all around the globe. But after the earthquake that devastated central Italy, this typical Italian dish found a different purpose. In New York, more than 50 restaurants rallied to bring their support to the areas affected by the earthquake. 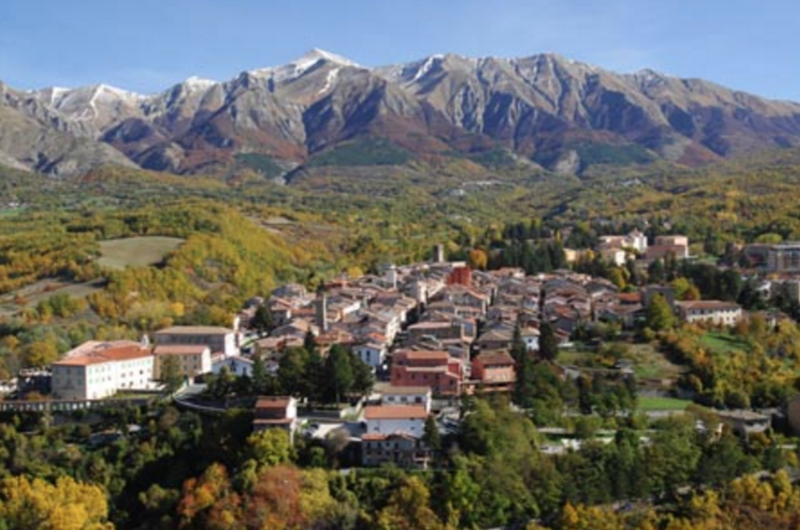 They all sell Amatrice’s signature dish and donate part of the revenues for earthquake relief. Slow Food, the international movement founded by Carlo Petrini to preserve national and regional food, launched the initiative. 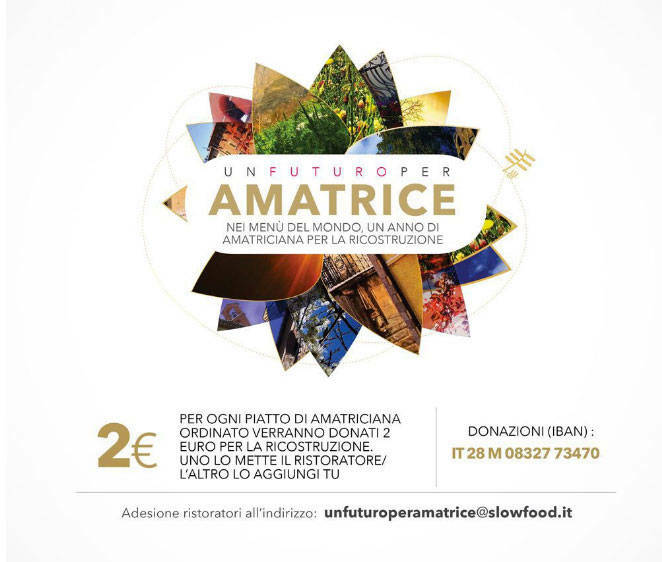 “Un Futuro per Amatrice” (A Future for Amatrice), aims to encourage all Italian restaurants worldwide to add the amatriciana to their menus and donate part of the sales. “Through this dish symbol of the gastronomic history of Amatrice, we hope to be able to spread worldwide the values of solidarity and sharing,” said Petrini. 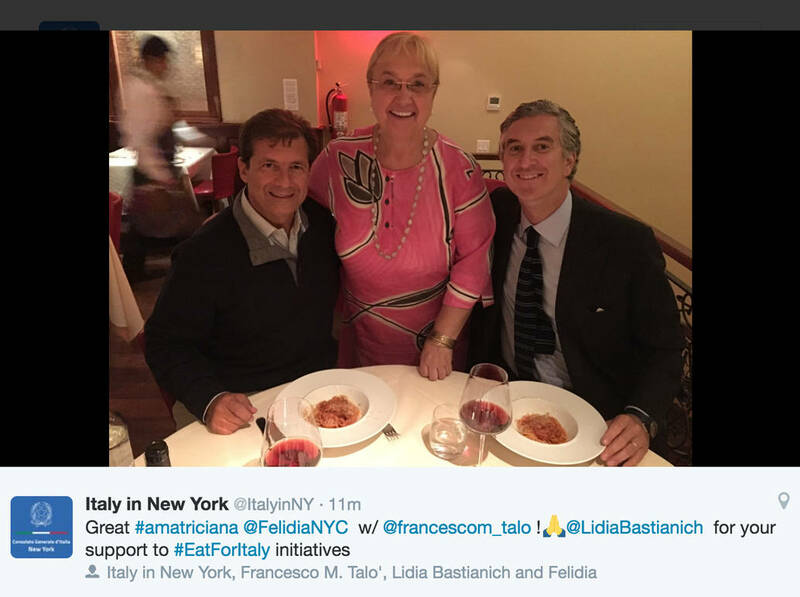 Ribalta (48 East 12th St.) was one of the first restaurants in New York to join the initiative. 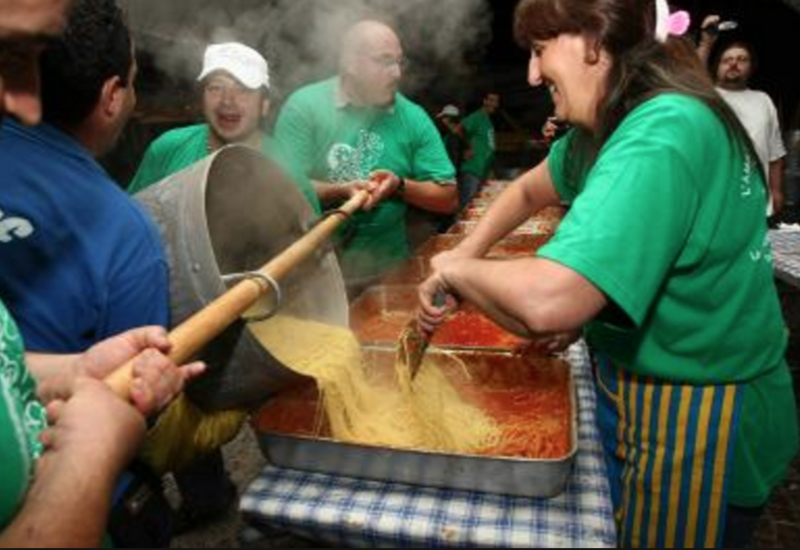 There, an order of pasta all’amatriciana is only $12, with $4 donated for each portion sold. Owner Rosario Procino said that various artists are contributing to the cause too, offering to play live music in the restaurant or gifting pieces of art to auction. Other restaurants, such as Felidia (243 East 58th St.) and Rafele (29 7th Ave. South) are donating $5 and $2 respectively to the Italian Red Cross for each portion of pasta all’amatriciana. Barbetta (321 West 46th St.), instead, is donating the 10 percent of all sales in the next two months. 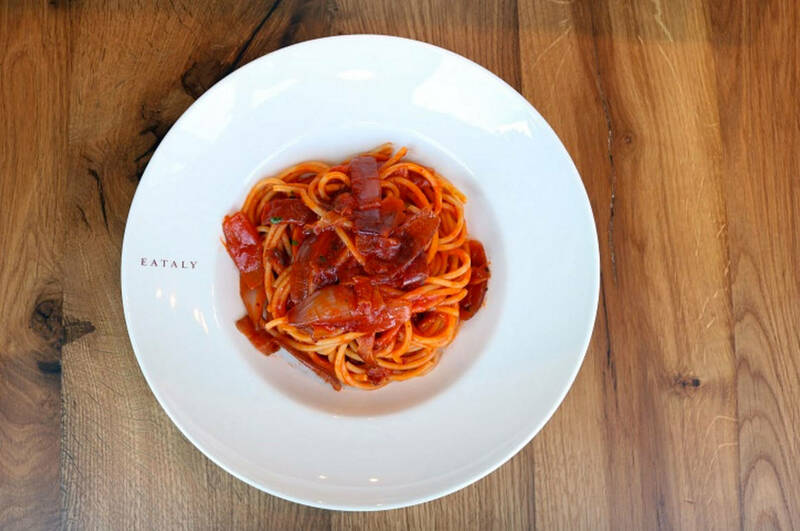 EatalyNY is donating $5 from every bucatini all’amatriciana sold to the towns that were affected. All other participating New York restaurants are listed on the website of the initiative AMO Amatriciana, created in collaboration with the Associazione Italiana Chef New York (AICNY). “This initiative is to show that even if we reside abroad we still care about our homeland, especially in times of need,” said Massimo Carbone, president of AICNY. And apparently, pasta is not the only thing going well with the amatriciana sauce. Two pizzerias, Kesté (271 Bleecker St.) and Don Antonio (309 West 50th St.), reinvented the amatriciana sauce as condiment for their pizzas. 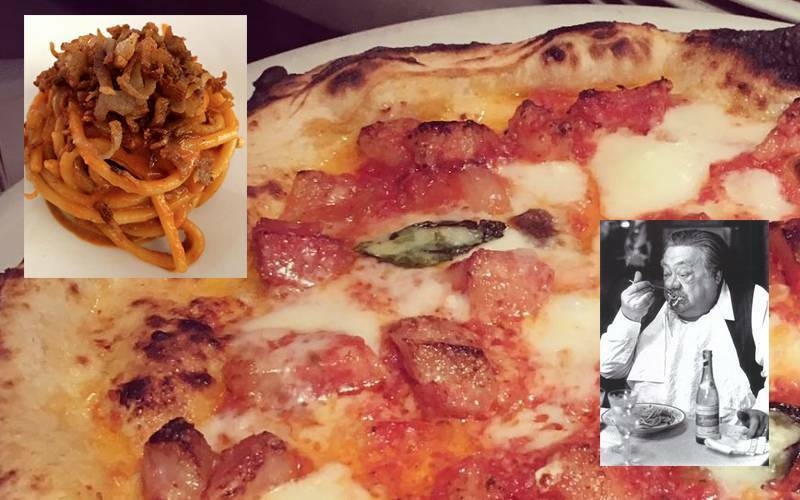 Both restaurants sell the pizza all’amatriciana for $20, donating $5 for every pizza sold. Roberto Caporuscio, owner of both restaurants, said that the creative idea of the pizza all’amatriciana was born from the strong desire to help the municipalities devastated by the earthquake. 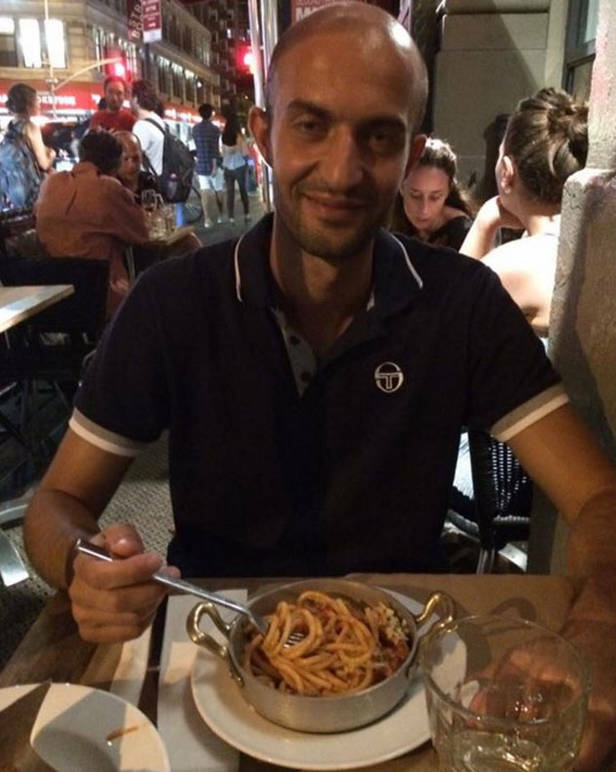 “I’m from Lazio (region of Amatrice and Accumoli), so I feel close to the families affected by the earthquake. This is my way to give back to those communities and I invite everyone to support this charitable initiative,” he said.